Was there a sweeter elementary-school-sentence? 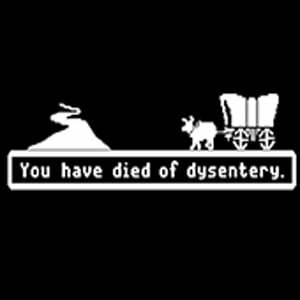 The promise of Oregon Trail would fill my little body with waves of excitement like I’d just caught the winning touchdown at recess, while simultaneously downing ten pixie sticks. The journey from Missouri to Oregon huddled around that gray, Apple computer was a glorious one. But as I look back, really, why were we playing it? Did we really need to learn that avoiding dysentery is a good idea and that we shouldn’t shoot too much buffalo because you can’t carry it all home? But just like any good teacher, Oregon Trail was teaching us some vital life lessons and we didn’t even know it. I loathed going through the initial process of setting up our wagon, picking your profession, stocking up on supplies, and choosing the best time of the year to leave. Just give me a gun and put me on the trial so I can start shooting squirrels. Most of my post-college experience has felt the same way. Just give me job, point me in a direction and I’ll figure it out from there. But how many times could I have avoided breaking down if I would’ve spent more time planning for what I’d really need for the journey ahead. Taking time in the beginning, saves lives in the end. 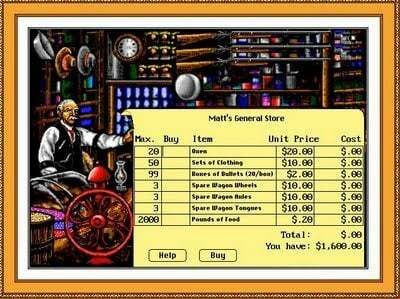 In Oregon Trail you could choose the pace your wagon would go between slow, moderate, or grueling and I picked grueling every, single, time. If Martha or Frank couldn’t keep up and if a few oxen had to be left behind, so be it. We were going to get to Oregon as fast as possible – dead or alive (usually it was dead). For us today, everything is on-demand and with a press of the button we can have dinner, our favorite TV show, our next date, two books and a lamp – all at the same time. And I think we want our “big future” to be delivered with next-day shipping as well. We launch into new projects, businesses, or relationships at a grueling pace and then wonder why in two months we find ourselves exhausted on the side of the trial unable to move forward. We won’t get to our destination in a month and if we try, we will kill ourselves and those who have hitched their wagon to ours. 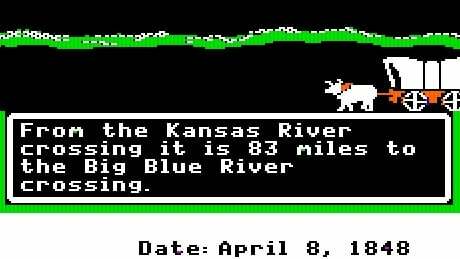 In Oregon Trail you had to cross many rivers, some five feet deep, some thirty. You could plow through it with the oxen, you could float your wagon, or you could hire a guide to get you across. But the guide was $30. Yeah right. I’ll take my chances with the 10 foot rapids. And to my dismay, my 4th grade penny-pinching would leave my wagon sinking and send Jimmy floating away, never to be seen again. We are such an independent, I can do it myself, back-the-frick-off, generation that we cross too many deep rivers without help. 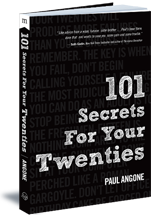 Pay that creative graphic designer, web programmer, marketing consultant, or sales assistant. There are so many talented people out there who will help you float across that river. Hire them. Cross safely. Your wagon, and Jimmy, will thank you. What did Oregon Trail teach you above life? And/or did you resonate with any of the life lessons above? Jump into the discussion below.